WMV (Windows Meda Video) is a popular compressed video format developed by Microsoft, which is designed to make video files smaller for internet streaming applications. You can easily play and edit WMV video files in Windows OS based programs. 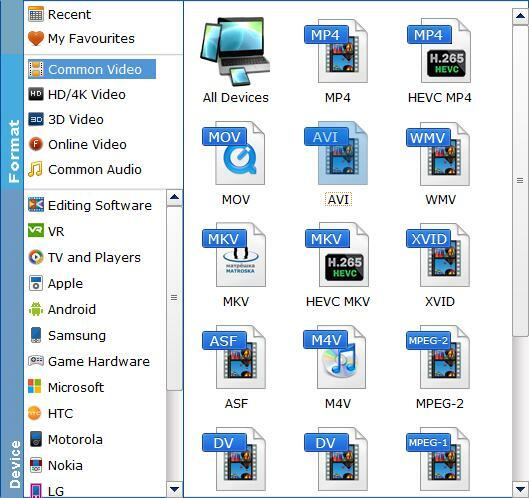 If you have some movies on DVD discs and want to find an easy yet quick way to convert DVD to WMV video files, you've come to the right place. Read on for details. Windows Media Video (WMV) is a file type which can contain video in one of several video compression formats developed by Microsoft. WMV files use Microsoft's Advanced Systems Format (ASF) container format and are therefore very similar to ASF files, which is another file format developed by Microsoft. There is an audio file similar to Windows Media Video, called Windows Media Audio, abbreviated as WMA that only contains audio data - no video. To convert DVD discs into WMV or other digital files, what you need is just a third-party program like EaseFab DVD Ripper (available for Windows and Mac users). As a totally user-friendly and multi-function DVD converter, the program can help you fast convert any kind of DVDs to WMV easily with unmatchable image quality for playback on various devices, by perfectly bypassing all copy protection mechanisms like DVD CSS, UOPs, region code, Sony ARccOS, APS, RCE, as well as Disney X-project DRM. Apart from WMV, it also owns many other outputs of video formats and devices, e.g. AVI, MP4, MKV, MOV, iPhone, iPad, Android, Windows devices etc. 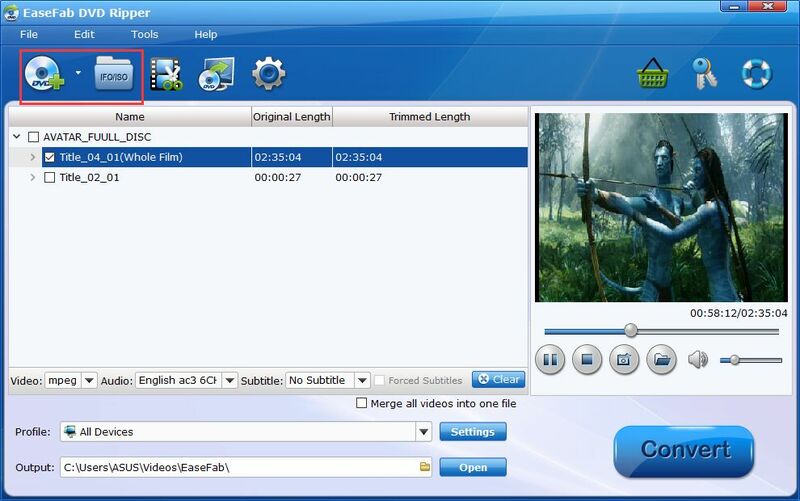 Now, free download, install and launch the DVD to WMV Converter on your PC. Then follow the tutorial below to rip DVD to WMV on Windows (10) easily and quickly. You should insert the DVD Disc into the DVD drive in advance. Step 1. Add the source DVD disc/folder. Run EaseFab DVD Ripper and then click "Load DVD" button to upload DVD files. DVD Folder and ISO Image are also available to be ripped into WMV. Step 2. Select WMV as the output format. The following step is to click "Profile" > "Common Video" and select "WMV" as the output video format. You can also select "WMV-HD" from "HD/4K Video" category. After that, choose an output path as the destination folder to save the converted WMV movie. Step 3. Start the DVD to WMV conversion. After all settings are OK, press the big "Convert" button to start the conversion. During the conversion process you can view detailed progress info. And soon after, this will be done. How to Play WMV Videos? Most versions of Windows have Windows Media Player installed, so this is the best solution to open WMV files if you’re using Windows. VLC Media Player is another Windows Media Player alternative, and it is completely free, allowing users to play WMV files on both Mac and Windows operating systems.